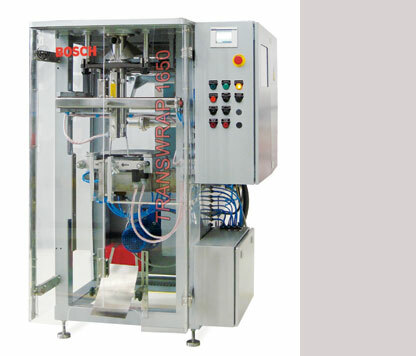 Bosch Packaging Technology launched the null 1650 packaging machine in India, at the Pack Plus 2010 in New Delhi. The product with its wide range of packaging solutions is suited for a variety of packaging needs, styles and budgets. It thus aims at addressing increasingly customized and market driven demands of the food and non food packaging industry. The array of packaging options includes package styles like pillow bags and side gusseted bags along with many other options pertaining to Heat Sealing, Poly Ethylene welding systems, anti static devices, chain packages and hole punch devices. These choices cater to a diverse range of package styles and product specifications. All these options can be activated through simple setting procedures via an intuitive human machine interface, offering user the flexibility which in turn allows for considerable shorter changeover times. This machine definitely offers user the advantage of cost efficiency as well as attributes like low height for a compact product stream coupled with higher speed that have been able to facilitate increased efficiency and ergonomics. Over and above the benefits of flexibility and cost efficiency, the machine is constructed of corrosion resistant material which extends the machine capability to pack aggressive products. The concept of modularity in the machine design of the null 1650 allows for easy integration of dosing devices (augers, null, and cup fillers), gas flushing devices, printers as well as check weighers along with various up and downstream equipment interfaces. Apart from catering to basic needs of pacnullTranswrapnts the MRP and serial numbers on the produced bags, while its print registration control senses the printing position in pre printed film to maintain accurate bag length.